Durable Solar Panels With Best Warranties! Energy bills can quickly become a costly expense, particularly during the sweltering heat of the Florida summer months. With utility company pricing more expensive than ever, the cost of keeping a home or business cool and comfortable can put a major dent in your monthly budget. By installing a solar power system on your Ocala property, you have the opportunity to not only take advantage of an abundant alternative energy source but to power your home or business with an efficient and cost-saving alternative to standard Florida utility service. A quality, cutting-edge solar system from Solar Lights & More provides you the opportunity to power your property with the clean energy of solar power, as well as to survive the brutal Florida heat in greater comfort. We offer comprehensive, environmentally friendly solar energy products and services that take the bite out of expensive Florida utility bills the whole year-round. When residents of Ocala and The Villages want to make the switch to alternative energy sources, they trust Solar Lights & More. 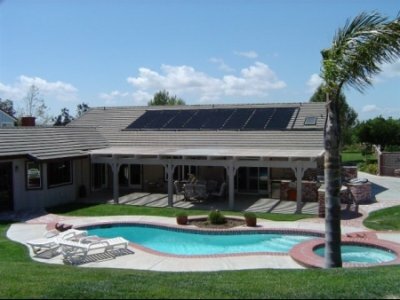 We’ve been providing outstanding home solar system products and service for more than 23 years. We’ve built excellent reputation for reliable customer service and installing the highest quality products and brands, including SunBandit, FAFCO and SunPower. Today, we’re proud to be your premier solar energy provider in Ocala! As a leading Ocala provider of solar system solutions, our goal is to provide area homeowners the best and latest selection of solar energy sources. We believe every Florida homeowner deserves nothing less than the highest-quality, brand-name home solar power system, one delivered by proven green energy experts they know they can trust. 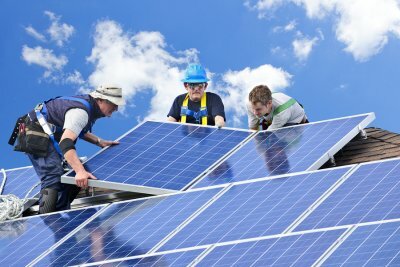 For over 23 years, we have been helping homeowners throughout the region make the switch to solar electricity, earning a sparkling reputation for reliability and great customer service in the process. Every solar power system we offer is reliable and installed with care, and can withstand even the most severe of Florida’s weather conditions. Our products are so durable, in fact, that of the hundreds of thousands of solar panels we’ve installed over the past two decades, none (not one!) suffered damage during 2017’s massive Hurricane Irma! In the Sunshine State, solar energy is abundant and available, so why not harness it for your home? By choosing a home solar system, you’re not only taking advantage of an ever-present source of green energy, but you’re also reducing your own dependency on fossil fuels, making the planet—and your pocketbook—happy in the process. In addition to saving money and making your property more energy independent, a top-quality solar power system can add real value to your home. Not convincing enough? Installing a home solar energy system will also increase the value of your home. The solar equipment itself requires very little maintenance, can withstand the most severe weather conditions, and allows you to become energy independent. The Solar Provider with Experience! As one of the leading solar energy companies in Ocala, FL, we take pride in the opportunity to make a real difference in our customers’ lives, as well as to offer such products from such leading solar brand names as Sun Bandit, FAFCO, and SunPower. For more than two decades, the team at Solar Lights & More has been Ocala’s number one source of alternative energy systems and service. We have earned a reputation for excellence, and continue to be the region’s best in solar system installation, maintenance, and customer service. Call our solar power system experts today!